We have special offers available on tickets for A View From The Bridge. 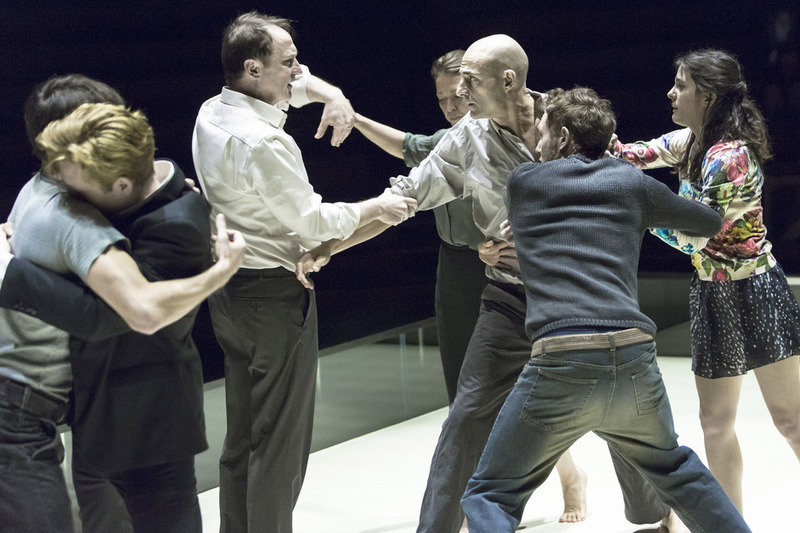 Ivo Van Hove's five star Young Vic stripped-back production of Arthur Miller's A View From The Bridge, which picked up two prizes at the Critics' Circle theatre awards ahead of its West End transfer to Wyndham's Theatre, was one of 2014's most acclaimed plays. Mark Strong, awarded best actor for his portrayal of Eddie Carbone, leads the cast once again as the tragic hero of the drama. The tragedy sees Carbone welcome his Sicilian cousins, who are looking to have a piece of American freedom, to his Brooklyn home. But, when one of them falls in love with his niece, it proves that freedom comes at a price. Further original cast members returning include Emun Elliott as Marco, Phoebe Fox as Catherine, Michael Gould as Alfieri, Luke Norris as Rodolpho and Nicola Walker as Beatrice. What are the best dining options near A View From The Bridge London? A View From The Bridge gyms, sporting activities, health & beauty and fitness. The best pubs near London A View From The Bridge. A View From The Bridge clubs, bars, cabaret nights, casinos and interesting nightlife. Where to have your meeting, conference, exhibition, private dining or training course near A View From The Bridge. From cheap budget hotels to luxury 5 star hotels see our special offers for Wyndham's Theatre hotels, including St Martins Lane, A Morgans Original from 83% off.